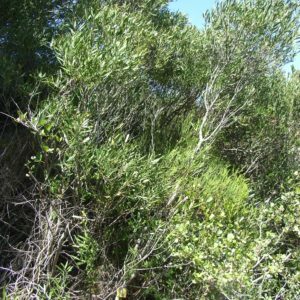 A tree or large shrub which is generally multiple-stemmed giving a scrubby appearance. Leaves are dark green above with light green under surfaces. 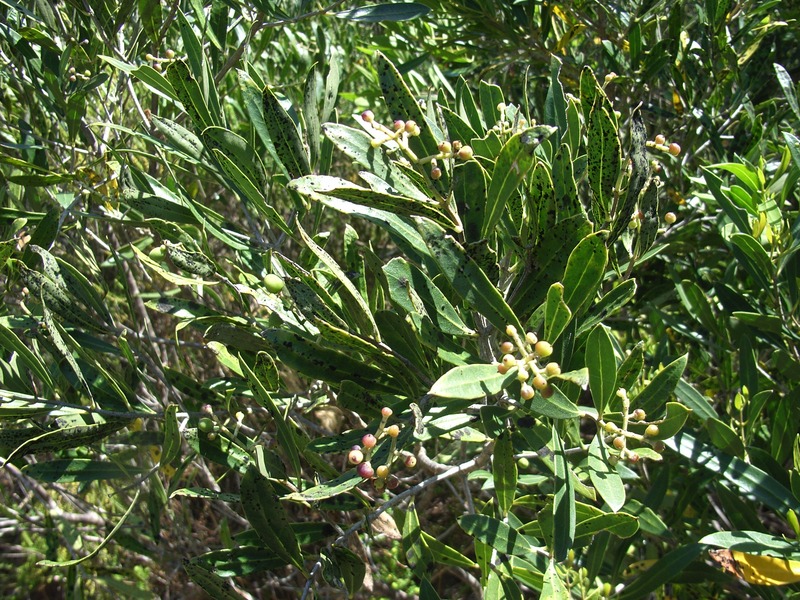 White flowers mature into purple fruits. Growing profusely along the old vehicle track from Links Drive to the Creek.